Almost wordless! 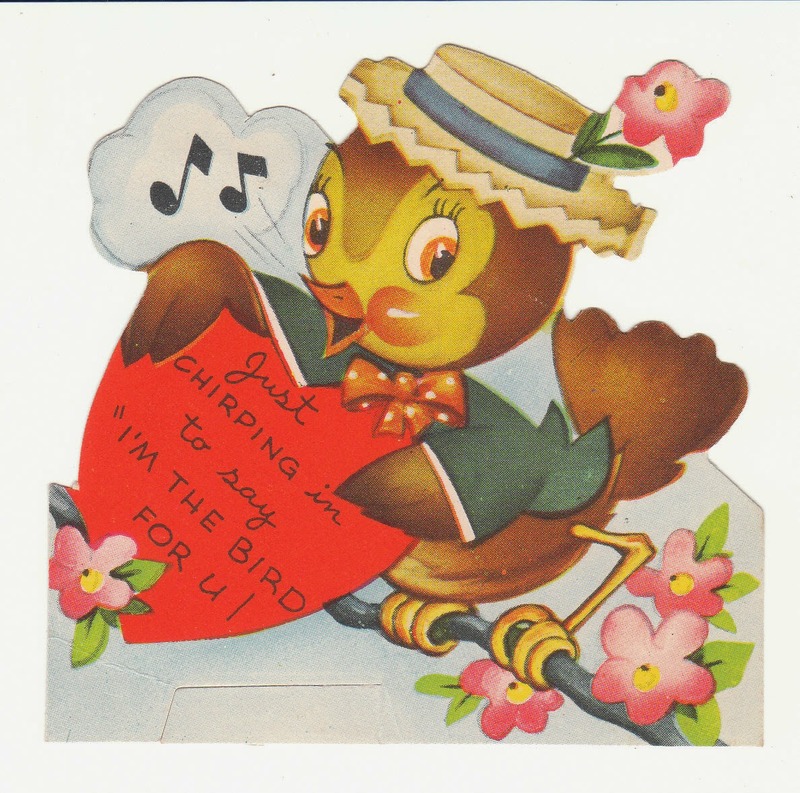 This vintage Valentine looks like Spring to me. "Just chirping in to say 'I'm the bird for u!'" Bird Valentines at Birdhouse Books: click here.